I took the Advanced Audition class and it is absolutely the best 4 week class ever!! I learned so much and had a blast doing it. Thank you Todd A. Robinson and Tristan David Luciotti! ​Series is filmed by Tristan David Luciotti. Best 4 weeks ever. Ton of info that I will take and use forever. Todd is amazing!! Thanks a billion to Tristan for the opportunity! Class Summary: (Ages 14+) This exciting series will focus on the art of on-camera acting for film and television. This class teaches how to achieve and respond with believable and honest emotions before the camera, and it maintains that the key to a successful performance lies in how the actors relate to one another and to their circumstances. 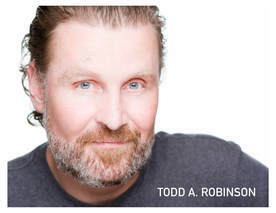 Actors will receive valuable on-camera time throughout the class - along with readings, exercises, and discussions - including feedback from other directors in addition to Todd's expertise. "Auditioning is the actor’s job, booking the gig is the bonus.” I’ve heard it, I’ve said it, and I honestly believe it. Confidently walking into the casting office, laying it all out there on the first take, being ready to process any adjustments (if given), walking out with an “I’ve done my job, now it’s up to them” attitude, and pushing it all out of your mind immediately is the goal. Is that an easy place to get to? Nope. It takes most actors years, and some never do. March 12th: 6:45 p.m. - 9:45 p.m.
+ Actors will receive sides at beginning of class and have at least 10-15 minutes to read and prepare them. + Actors will perform the sides on camera, and watch playback. + Actors will receive feedback from Todd, Brett and Jill. March 19th: 6:45 p.m. - 9:45 p.m.
+ Sides will be given to actors at the end of class Week Two. In the week between classes, the actors will prepare a strong character choice for their scenes. + Todd and actors will discuss usage of a unique character choice that is a natural fit for each actor and project. + Actors will work on camera, with playback. + Actors will receive feedback from Todd and Lori! March 26th: 6:45 p.m. - 9:45 p.m.
+ Sides will be sent out 24-36 hours prior to class, and will be a scene that the actors have already worked in one of the previous weeks. + Todd and actors will discuss the importance of stepping things up a notch for call backs, while remaining true to the work done in first reads. + Actors will receive feedback from Todd and Jon! April 2nd: 6:45 p.m. - 9:45 p.m.
+ Sides will be sent out 24-36 hours before class. These will most likely be for a Co-star or Under 5 network television role. + Actors will work on camera, then watch playback of their reads. + Actors will verbalize their impressions of their own "auditions", and receive feedback from Todd and Tommy!